Matsutake are highly sought out pine mushrooms found in Asia, Europe, and North America and especially in the PNW climate. It has a unique aroma and flavor profile that makes this fungi prized by the Japanese. Now on to the chip. 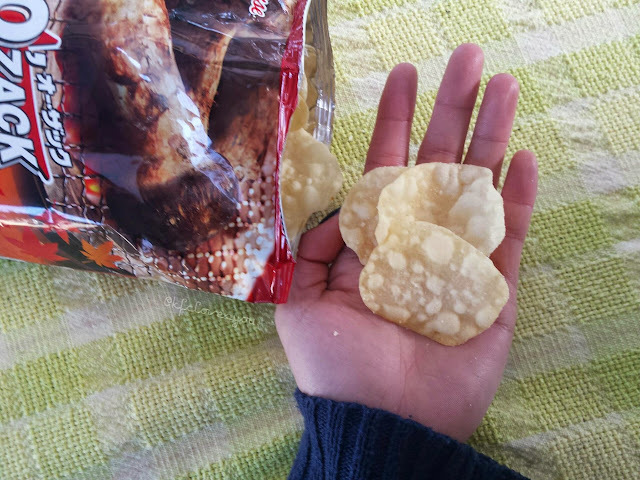 The chip itself has a unique texture--not quite hard like a Lays potato chip but a little fluffy, almost like a Pringles but with more air. As you can see from the pictures above, you can notice the little air bubbles (almost like a popped chip). 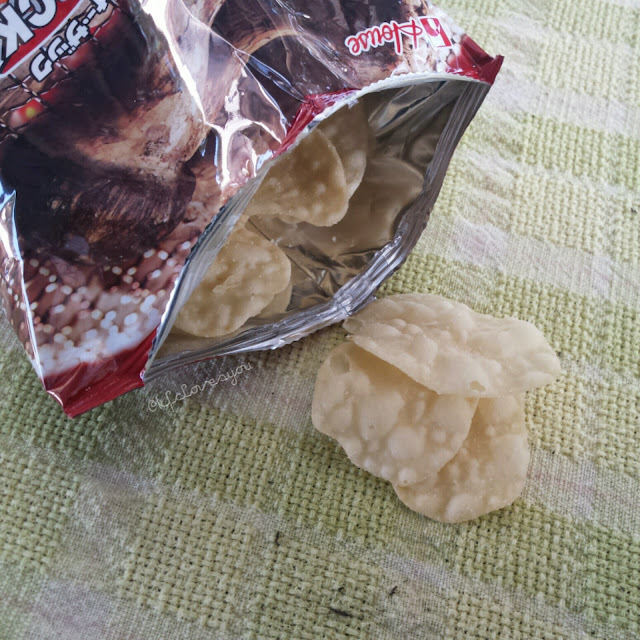 As you bite into it too, you will notice a soft crunch. 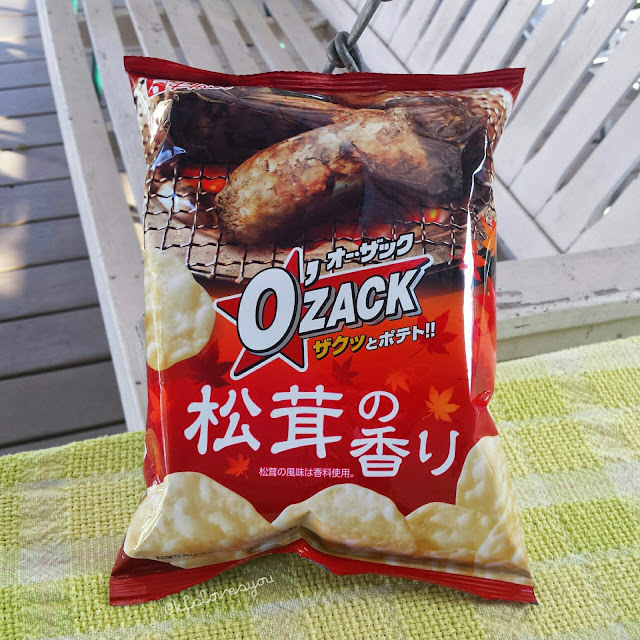 The flavor of these chips is spot on to the flavor of Matsutake. 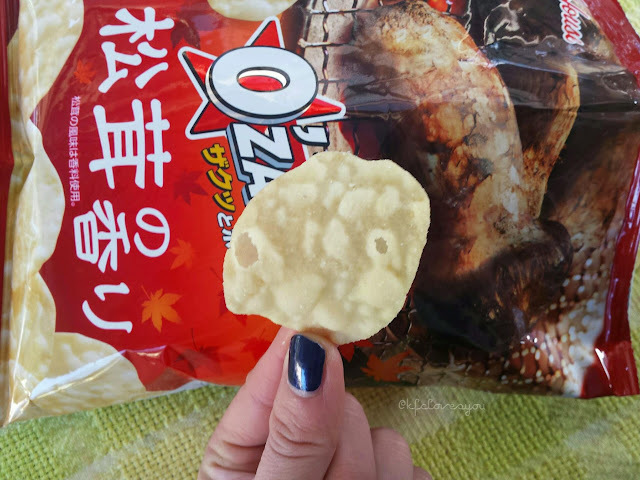 Since I've had Matsutake before, I can say that these chips have that true pine aroma to the chips. With a little flavor booster and some salt, this snack makes for an addicting treat. The flavor of the pine mushroom is very different compared to other types of mushrooms so it may take some people awhile to get used to if they are not familiar with anything like it. However, as a unique and limited edition fall flavor, I would definitely try to get your hands on it if you can! 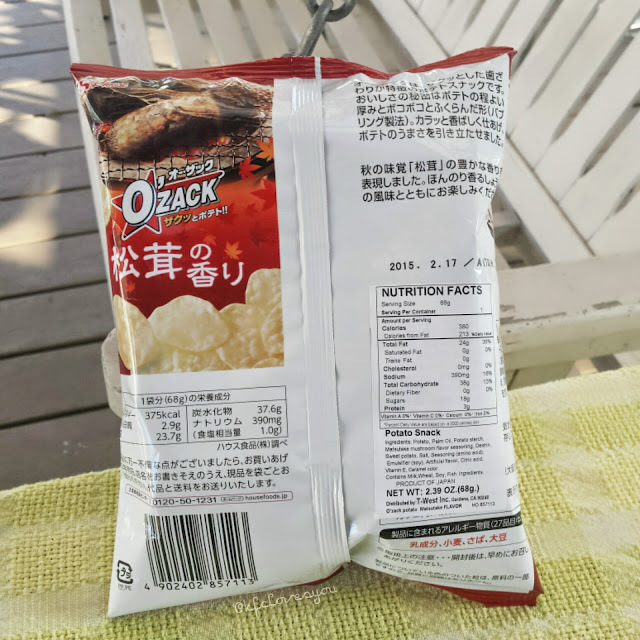 I found mines at my local Asian/Japanese grocery store for around $2.59 a bag. 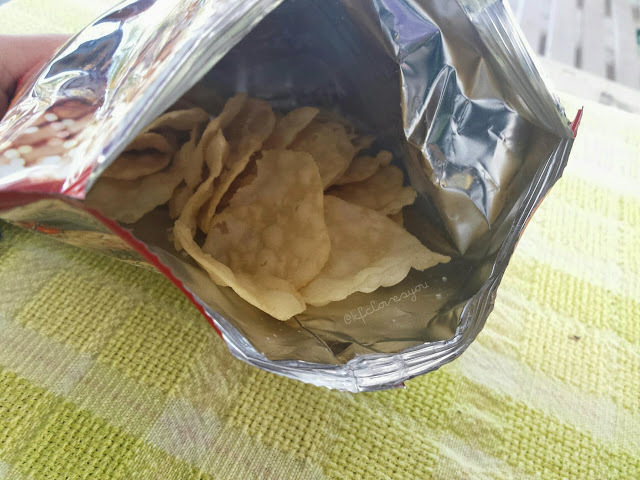 Readers, have you tried any limited edition flavored chips? What are some of your favorites? I'd love to know! thanks, will follow you back right now!